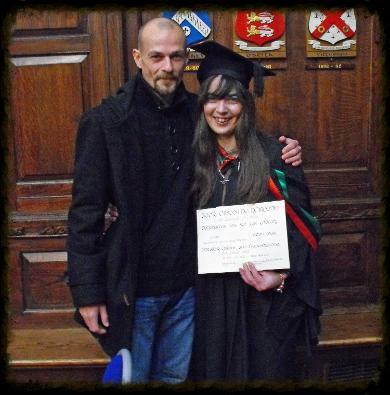 our own Liz Gillis on her graduation on Saturday, 7 December, 2013. 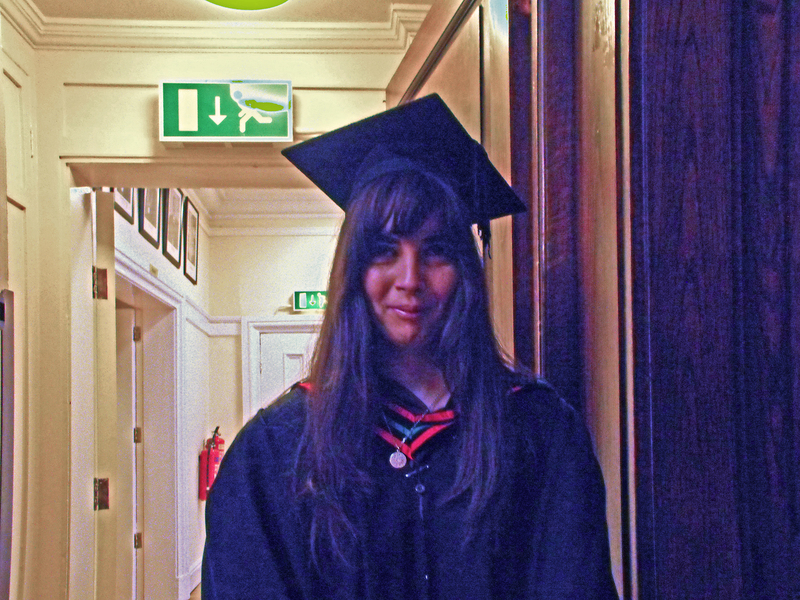 Liz graduated from Saor Ollscoil na hÉireann with a BA in the Liberal Arts. 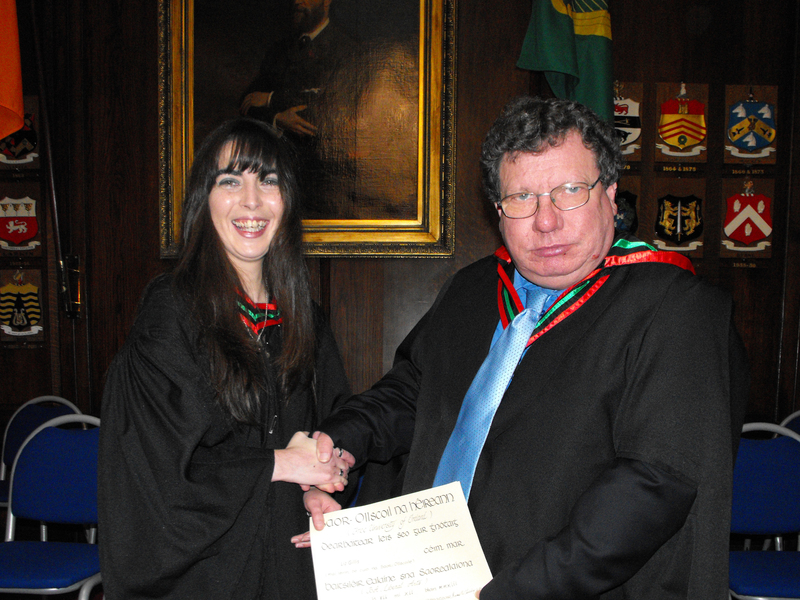 Her thesis was "The Hales Brothers and the Irish Revolution" and is, indeed, a 'magnum opus'. It is a unique piece of research, looking at an aspect of the revolutionary period that has never been examined in detail before. No wonder, then, that a little bird has whispered to us that a major publisher is very, very interested in publishing it - watch this space for further news. 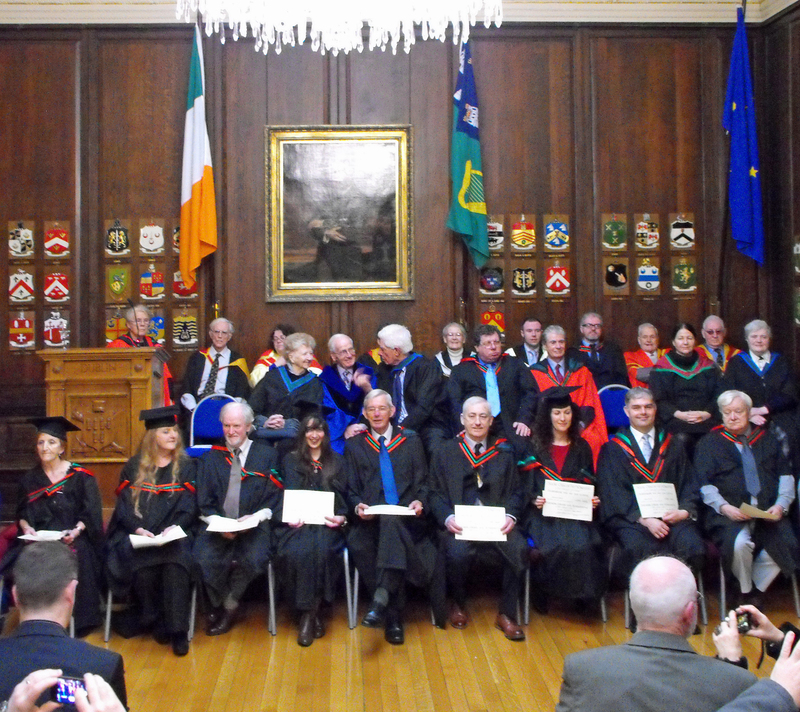 The graduation was in the Oak Room of Dublin's Mansion House with no finer man than CS Parnell looking on from the Mansion House wall, and we are pleased to have some photos of the day for your perusal! 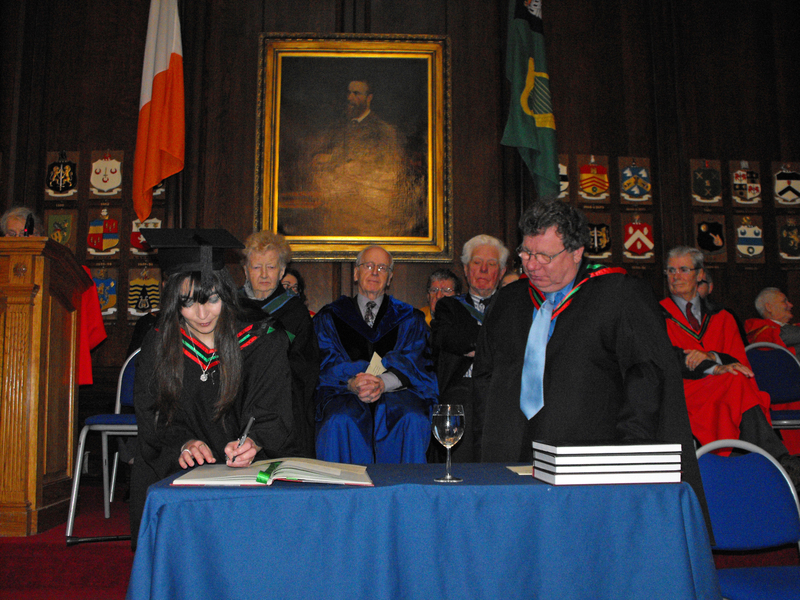 The date of Liz's graduation was auspicious, too - the anniversary of the death of Sean Hales in Dublin. 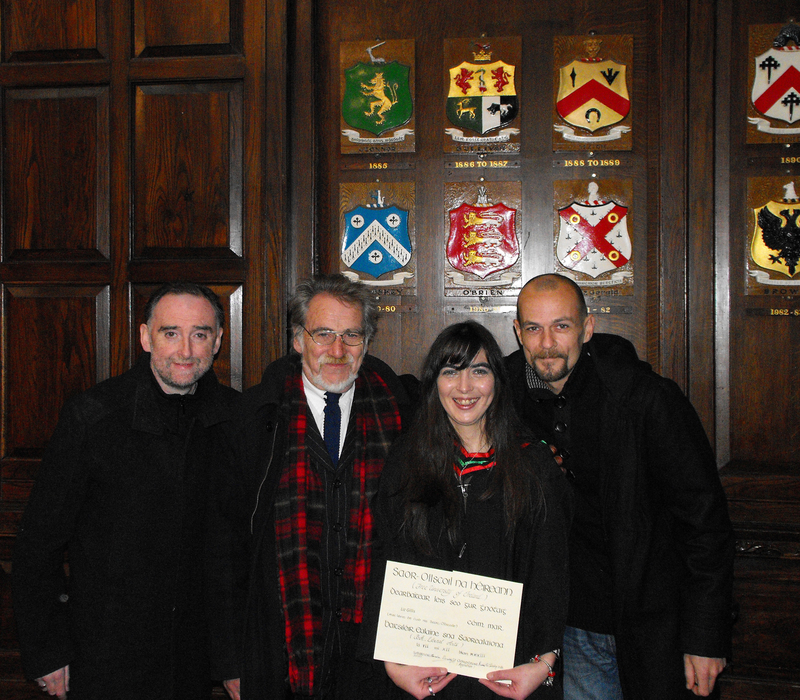 We in Kilmainham Tales are delighted to see Liz getting academic recognition for her work but, of course, she has already gained public recognition, with two major critically acclaimed and commercially successful books under her belt - and more in the pipeline. (Above) Liz and her fiancee James in the Mansion House Oak Room. Liz is writing a book on the burning of the Custom House during the War of Independence for Kilmainham Tales, and we are delighted to be associated with her. Liz is an exciting young talent, a breath of fresh air in the field of Revolutionary Irish History. She is, to coin a phrase, the future of History! All in Kilmainham Tales wished Fr. Joe Mallin a very, very happy 100th birthday on September 13, 2013. Fr. Joe, of course, is the son of Michael Mallin who was executed in Kilmainham Gaol after the Easter Rising of 1916. Fr. Joe was just two years old when he came into the Gaol in his mother's arms to see his father for the last time. Fr. Joe visited Kilmainham Gaol in 2006 when he presented his father's pocket watch to the Kilmainham Gaol Archive. Our Mícheál Ó Doibhilín was on hand to photograph him as he presented the watch to Site Supervisor Niall Bergin, and when he visited his father's cell for the second time. Michael also went to the Stonebreaker's Yard to view the spot where his father was shot. Fr. Joe is the last surviving child of any of the leaders of the Easter Rising and continues his ministry, still teaching in Hong Kong. Like his father, he is an accomplished musician and plays the Irish flute superbly. Cuidhimid saol fada fós ort, a athair, agus ta súil again go bhfeicimíd tú ar ais anseo i 2016, le cúnamh De. We are grateful to James Andrews for these photos of Fr. Joe Mallin on his 100th birthday recently. Fr. 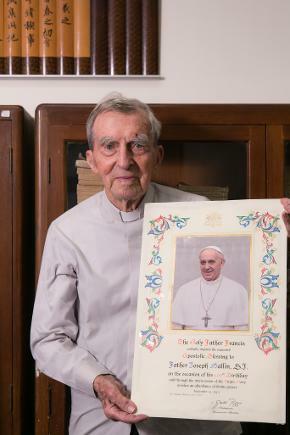 Joe is in Hong Kong and, at right, he holds the special Papal Blessing he received. Maith thú, a Athair, Go mbeidh an céad eile agat. Kilmainham Tales wished Fr. 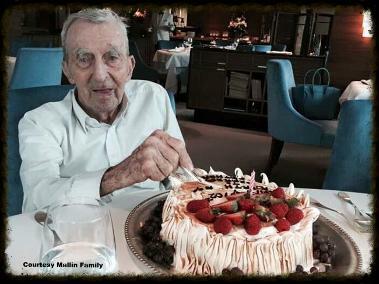 Joe Mallin a very, very happy 102nd birthday (13/09/2015). Fr. Joe is the son of Michael Mallin who was executed in Kilmainham Gaol after the Easter Rising of 1916, and was only two and a half years old when he first came into the Gaol in his mother's arms to see his father for the last time. Fr. 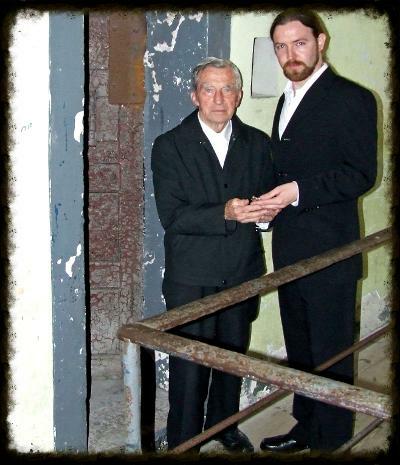 Joe visited Kilmainham Gaol in 2006 and our Mícheál Ó Doibhilín was on hand to photograph him there, and when he visited his father's cell ... for the second time. Fr. Joe also went to the Stonebreaker's Yard to view the spot where his father was shot, and the portrait below was taken there. Like his father, he is an accomplished musician and plays the Irish flute superbly. Fr. Joe is the last surviving child of any of the leaders of the Easter Rising and remains in Hong Kong, where he has been a teacher since 1948. 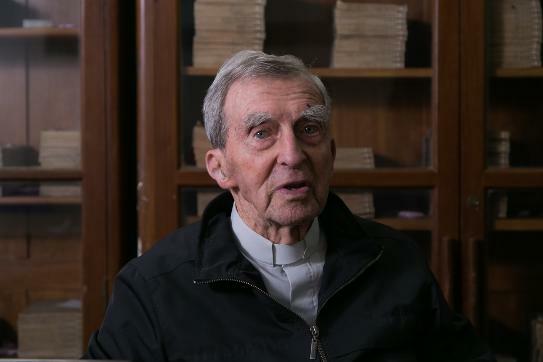 Fr Mallin has spent over sixty years as a Jesuit missionary in China, working at the Wah Yan College – a Roman Catholic secondary school for boys run by the Jesuits. His father's last wish was that Joe become a priest. Guidhimid saol fada fós ort, a athair, agus ta súil again go bhfeicimíd tú ar ais in Éirinn 2016, le cúnamh Dé.